Information is continuing to trickle through as this year’s works progress is documented. 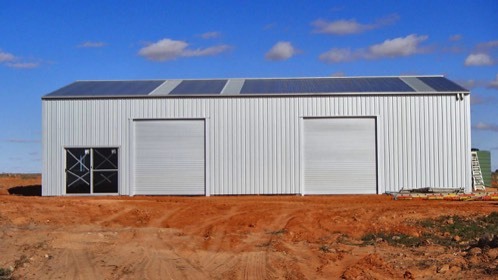 The big new equipment shed is finally in site and ready for the floor to be poured..
Shane Welsh, one of our newly registered “Friends of Farina” mentioned that he had just shot some video from is radio controlled quad ‘copter. Shane has given us permission to include his videos on our website. As you look at the vireo, the main building that is being worked on (note the large scaffold inside) is the Exchange Hotel – long being in need of some timely repair before the front wall falls down! See video No. 1 HERE, and No. 2 HERE.